Are you stocking up so much that you are bursting at the seams and your kids’ closets are now full of toilet paper instead of clothes? 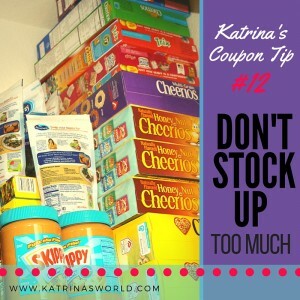 It’s really easy to get in the mindset of making sure you don’t let any coupons go to waste. This can be very dangerous. 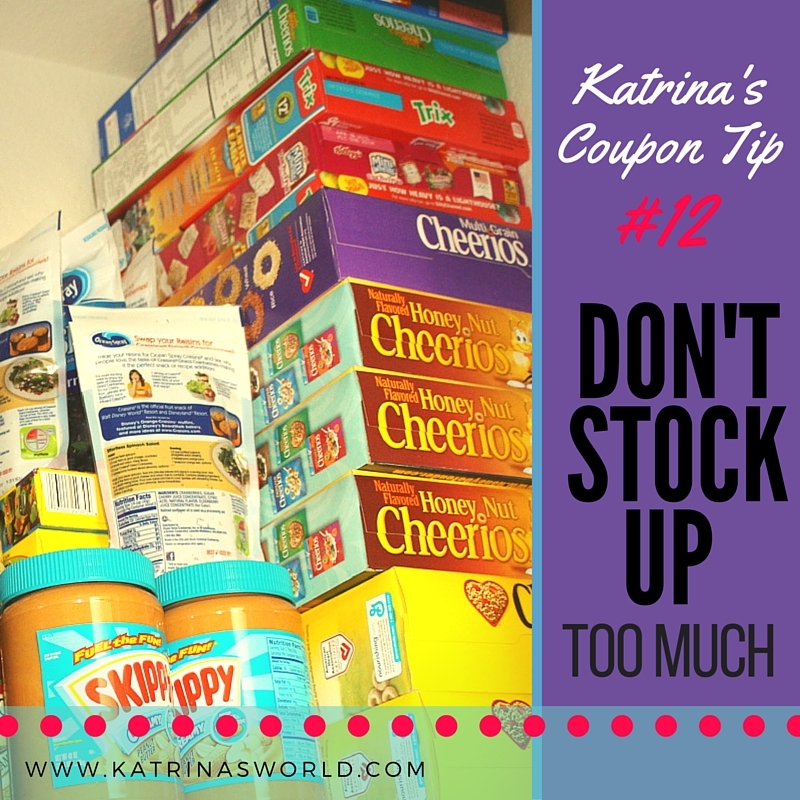 If you stock up a bunch on an item without paying close attention to the expiration you can get more excited about the money you are saving and end up buying a lot more of the product than you can actually use before it expires. You may find yourself throwing food away that has expired and then you realize that the great deal you thought you found for that product is actually not really that great of a deal. A perfect example is condiments. One time I came across a great sale on Ranch dressing, we use a lot of it, so I purchased 8 bottles of it with my coupons and didn’t pay attention to the expiration date. I ended up throwing away 4 bottles because they expired before we were able to use them all. This is very easy to do with all sorts of products, so just make sure that you can use or can give away all the products you purchase that have a short expiration.